Nothing becomes official until the NC Highway Historical Marker Advisory Committee meets on May 22nd to formally review, and ultimately if it sees fit, approve it, but as of now, the proposed 1898 historical marker planned for Market Street between Fourth and Fifth streets later this year, has new language. And that new language eliminates the previous guesswork of exactly how many African-Americans were killed on Nov. 10, 1898 – the day the Wilmington race massacre began. Armed white mob met, Nov. 10, 1898, at armory here, marched 6 blocks and burned office of daily Record, black-owned newspaper. Violence left untold numbers of African Americans dead. Led to overthrow of city government & installation of coup leader as mayor. Was part of a statewide political campaign based on calls for white supremacy and the exploitation of racial tensions. The initial language of the marker that caused considerable controversy inaccurately stated that “Violence left up to 60 black dead…,” but research by the 1898 Wilmington Race Riot Commission in 2006 determined that the true number of black killed during the massacre on that first day, let alone ultimately during the entire racial siege of Wilmington by white supremacists, was “unknown,” and may never be known. The new draft language also leaves off the name of Alex Manley, the publisher of the Daily Record (primarily because there already is a marker with his name at the spot on Seventh Street where the Daily Record was burned down). The new proposed marker language also deletes the name of Alfred Moore Waddell, the coup leader who was ultimately installed as mayor after the violent takeover. The term “race riot” is also removed from the previous language. In an recent exclusive interview with The Wilmington Journal, Michael Hill, Research Supervisor at the NC Office of Archives and History, a division of the NC Dept. of Natural and Cultural Resources, confirmed that staff at the NC Highway Historical Program determined that some the proposed language of the planned 1898 marker needed to be changed before it is unveiled. “We wish to seek input from the local community. We’ve received several emails, including from the local NAACP, and probably about a half dozen others,” Mr. Hill told The Journal. Ansley Wegner, the administrator of the NC Highway Historical marker Program, developed several new drafts, based of community input. “The next stage will be to share the new drafts with all interested local parties,” Hill continued, including Rend Smith of the nonprofit group, Working Narratives, which made the original application for the 1898 marker, and Deborah Dicks Maxwell, president of the NHC NAACP. The New Hanover African-American Heritage commission will also be included. Smith, as the applicant, will then have the right of first appeal to the marker advisory committee when they meet on May 22nd. A federal three-judge panel has ruled that the NC legislative redistricting maps produced by its special master will be used for the upcoming 2018 midterm elections – the candidate filing period for which is scheduled to begin on Feb. 12th unless officially delayed. And that delay very well may happen. Republican legislative leaders have vowed to, once again, appeal yet another negative redistricting ruling they don’t like to the US Supreme Court. “It is a shocking move for one of the same judges just reigned in by a bipartisan U.S. Supreme Court less than 24 hours ago to again attempt to create chaos and confusion in an election process set to begin in just three weeks,” wrote Rep. David Lewis [R-Harnett] and Sen. Ralph Hise [ R-Mitchell], co-chairs of the joint Redistrict Committee, referring to US Fourth Circuit Court Judge James Wynn, who served on both separate three-judge panels that ruled against Republican NC redistricting plans for both congressional and legislative districts. It was just two weeks ago that Judge Wynn, an Obama appointee, led two other District Court judges in ruling that the NC Legislature’s partisan congressional redistricting was unconstitutional, and ordered that they be immediately redrawn. State Republican petitioned the US Supreme Court to stay that order, which it did last week, pending review. NC Republicans are hoping the US High Court will also stay the legislative map order. “It is now up to #SCOTUS to preserve the role of State Legislatures under our Constitutional System,” tweeted Dallas Woodhouse, executive director of the NC Republican Party. Some legal analysts say while SCOTUS stayed the NC congressional redistricting ruling because the question of partisan gerrymandering is one yet to be decided by the US Supreme Court (a case involving Wisconsin was heard late last year, an a similar case in Maryland has yet to be heard), North Carolina’s legislative redistricting case was already proven to involve racial gerrymandering, which the High Court had already declared unconstitutional, and sent back to the three-judge panel to remedy after concurring. Part of that remedy was ultimately ordering the special master redrawing on new legislative maps because the judicial panel determined that 9 of the 28 districts redrawn were still legally problematic. Republicans are arguing the state legislature should have been given the opportunity to fix those nine districts, not the special master. The GOP adds that the court had no right appointing the special master to do their job. In it’s 92-page order, the three-judge panel, this time led by federal District Court Judge Catherine Eagles, firmly disagreed. 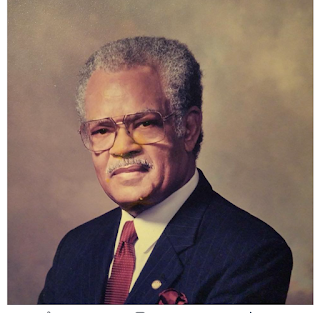 Dr. Talbert Oscall Shaw, the 12th president of Shaw University, died last week in Boca Raton, Florida. He was 89. Dr. Shaw served a president for 15 crucial years in the school’s history – from 1987 to 2002. During that time, he literally save “the oldest historically black university in the South” from closing due to fraud and fiscal mismanagement; dramatically increased the endowment; doubled the enrollment; renovated various buildings on campus; and constructed the Talbert O. Shaw Living Learning Center. Per the curriculum, Dr. Shaw, an ordained minister in his native Jamaica prior to coming to the United States in the late 1950’s, implemented an Ethics and Values course that was hailed as trailblazing. In a Dec. 2002 interview with the Black Press shortly before he retired, Dr. Shaw, then 74, said he never dreamed of becoming the president of a distinguished HBCU. He had earned his M.A. and Ph. D. in Ethics from the University of Chicago, going on to become the interim Dean of Howard University Divinity School, and tenured Dean of Arts and Sciences at Morgan State University (where he said he was “quite comfortable”) when he was approached in the late 1980s by a member of the Shaw University Search Committee. Shaw said “no” at first, but later relented. However, he had no idea just how large the challenge would be, given the dire financial condition the school was in. The IRS had filed two liens against the school because of $750,000 owed in unpaid withholding taxes, interest and penalties. There was no endowment. Employees weren’t being paid. Over $1.2 million in federal loans were in default, and the university was drowning in over $5 million of red ink. Slowly but surely, under Dr. Shaw’s leadership, faculty, staff and students embraced his school credo, “ Strides to Excellence. Why Not The Best?,” and it wasn’t long before the university was on solid footing again. Funding was raised, debts paid off or restructured, and the business community began investing. Even the major white newspaper in Raleigh, The News and Observer, which had been publishing stories on why Shaw University needed to be closed, switched gears after Dr. Shaw confronted publisher Frank Daniels Jr., who then gave the school a $100,000 donation. Shaw alumni from all over the state and nation reacted to the news of Dr. Shaw’s death with sadness, but also with pride that they attended the school during his tenure. “He planted the seed of becoming a college president in me when I was 19 years-old,” says former Shaw University President Tashni-Ann Dubroy. There will be a public viewing from 6 to 8 p.m. at The Gardens of Boca Raton in Boca Raton, Fl. for President Emeritus Talbert O. Shaw on Saturday. The funeral service will be held Sunday at 12 noon at the Deerfield Beach SDA Church in Deerfield Beach, Fl. [RALEIGH] Faced with a possible lawsuit from the NC American Civil Liberties Union, The NC prison system has decided to unban a controversial book it had previously removed from its library shelves. “The New Jim crow: Mass Incarceration in the Age of Colorblindness” by Michelle Alexander was the book prison inmates were not allowed to read. But a terse letter from the NCACLU to prison officials made it clear that it had no legal grounds for banning the book, and to continue to do so would be unconstitutional. NC State Director of Prisons Kenneth Lassiter says he will now review the system’s list of “disapproved publications” to determine what other titles can be unbanned, and placed back on prison library shelves. [WILMINGTON] What was the Viktor Leonov, a Russian spy ship, doing 100 miles off the coast of Wilmington Monday? US military officials would like to know. They ordered the USS Cole and other naval vessels to track the Leonov. CNN reports that the Leonov had been traveling up the eastern seaboard near US naval installations at Cape Canaveral, Kings Bay, New London and Norfolk.